It’s important to have cohesive branding when marketing your chiropractic practice. Your business cards, signage, etc. should represent the same brand. And just like in the real world, having a unified online brand improves trust and gives you credibility in prospective patients’ eyes. This includes having a branded email account. First, what is a branded chiropractic email account? In short, it’s an email account that matches your website’s domain. For instance, rather than having a gmail.com or yahoo.com email extension, your address would look something like this: info@chiroabc.com. Whether it’s over the phone, through email, or in person, how you communicate is an integral part of your ongoing marketing efforts. Effective branding – which includes your methods of communication – improves how current and prospective patients perceive your practice. It’s yet another way for you to set yourself apart from the competition. A generic, personal email account may show inexperience. It can project an image that you are new, small, or part time. It could even be a deal breaker for prospective patients who are shopping multiple chiropractors in your area. Meanwhile, a branded email account helps patients feel that you’re established and serious about your practice. Consider this scenario: If you were looking to purchase a new mattress, which email address would you be more apt to contact: info@matressabc.com or sleepymike371@gmail.com? It’s probably safe to assume you’d choose the former. Over 90 percent of small businesses affirm that using branded emails makes them appear more credible. Most business owners acknowledge that using personal email accounts is a potential problem. It’s the “getting started” part that’s holding them back. With branded emails, you can set up multiple email accounts for different segments of your practice. (e.g. info@chiroabc.com, billing@chiroabc.com, support@chiroabc.com, etc.). It takes minimal effort to set up a branded email account (and your web hosting company, like Perfect Patients, can do this for you). 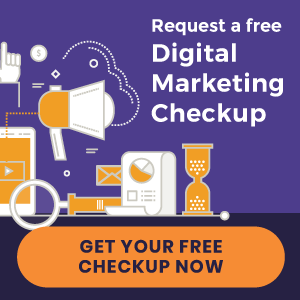 One of the most important benefits is that every time you send an email, you’re promoting your practice – rather than Yahoo! or Gmail services. Free email accounts are not set up for mass communication, so you may suffer from technical issues when sending newsletters or new offers from these types of personal accounts. A branded email makes patient communication safer and easier. Branded emails build trust any time you communicate with a current or prospective patient. It shows competence, while promoting both your website and practice name. Digital branding starts in your inbox. Your online brand isn’t confined to what someone types in Google. Or how you stage yourself on social media. Your brand also encompasses what you – and most people – spend endless time keeping up with: your emails. 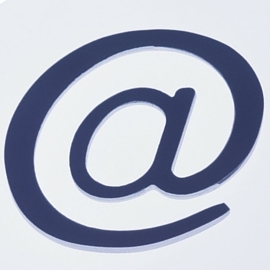 Branding your email accounts is only the first step. Effective online marketing starts with a comprehensive game plan. Download our free eBook and learn 10 simple ways to get new patients from the Internet! « 2015 Chiropractic Scholarship Award: We Have a Winner!